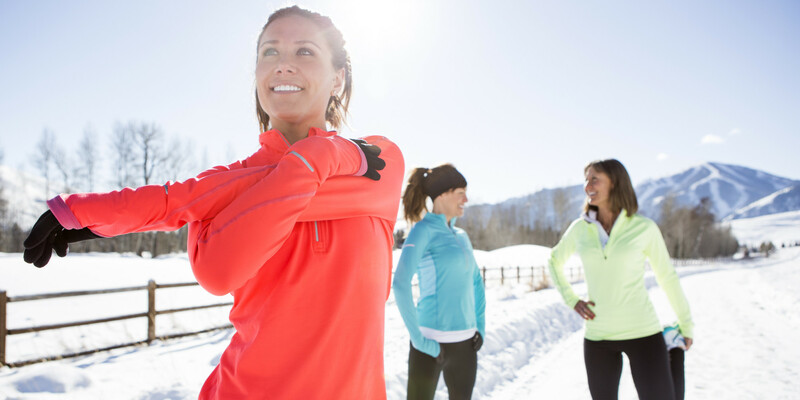 Running in the cold can be intimidating to everyone, even avid runners. Extreme temperatures can mess up your training schedule, but it doesn’t have to. Here are some of my favorite tips to help keep you warm and prepared on your winter runs! Wool socks keep your feet warm, wick the water away, and are really comfortable to wear. They also can help prevent blisters. Defeet Woolie Boolies are good ones to use. Also a note here: never buy waterproof shoes. If water gets in (creek crossing, puddle, etc), there’s no way for it to get out and you’ll end up with swamp feet. Just trust me on this, you don’t want it! Stick to breathable shoes with moisture wicking socks for the best comfort. Zensah is a good brand. Compression sleeves are designed to help with circulation and recovery, but are also helpful for keeping your legs warm. If weather is over 40 degrees, cheap cotton gloves will do (if it’s not raining.) If it’s raining or under 40 degrees, you’ll need to get weather resistant wicking gloves rated for under 30 degrees. Fingers are the hardest to keep warm when running in cold temps. Even though it’s cold and you may not be sweating, you still need to carry water with you. A handheld with about 20 ounces of water should be enough in most cases. You need to keep hydrated! If it’s cold and very windy, you may want to consider wearing a windbreaker to help keep warm. Just note, it’s not breathable, so you need to make sure you aren’t getting too hot and sweating on the inside of the jacket. For the five other fabulous tips, head over to Blue Ridge Babe. *This post was originally published on Joy’s website, Blue Ridge Babe. For more from Joy visit http://www.blueridgebabe.com.